Here comes the current update on my mask routine. 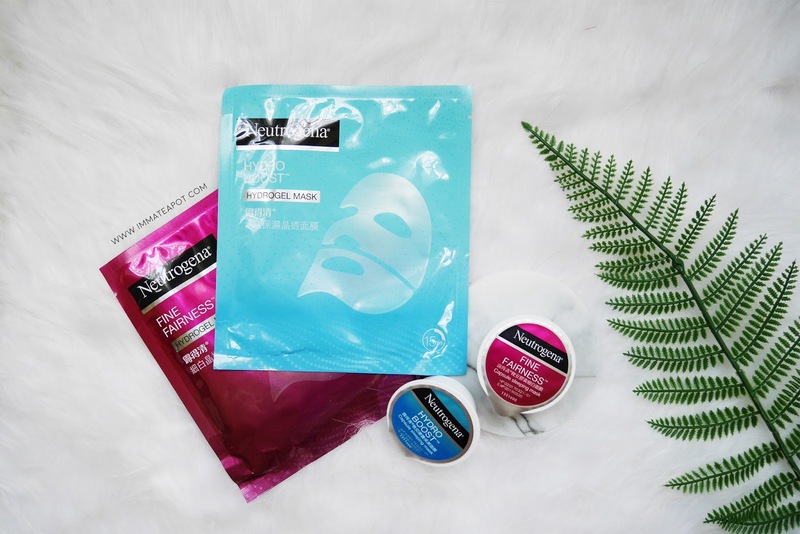 Recently, I have just received some masks from Neutrogena and I am here to share my reviews with you guys - Neutrogena Hydrogel Mask and Neutrogena Capsule Sleeping Mask. 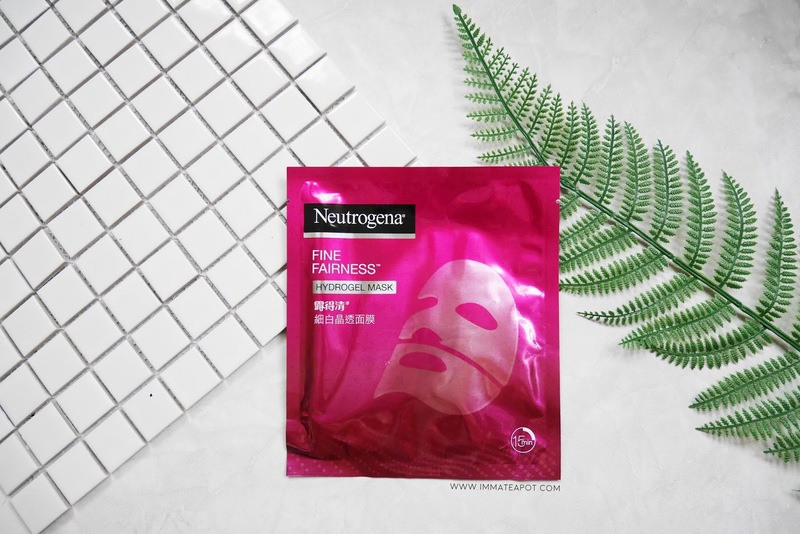 Unlike the usual silk / cotton sheet mask we saw in the store, Neutrogena has finally come out with the Hydrogel Mask! FYI, Hydrogel mask is way more effective in delivering nutrients into our skin, without evaporating too fast as compared to the usual cotton sheet mask. Our skin gets 50% more essence with hydrogel mask than the normal mask. Beside, it fits perfectly on our face, with less dripping and conveys an instant cooling effect to our skin. Extra boost if you keep your mask in the fridge before application. 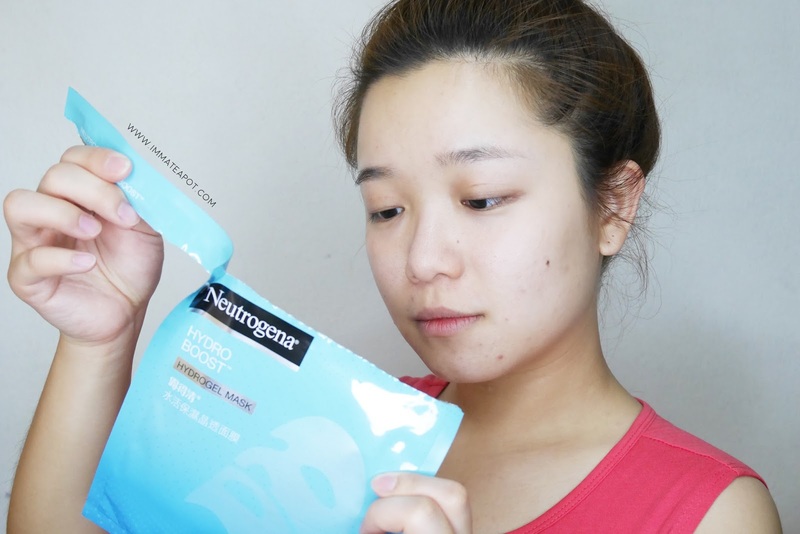 Hereby I am using the Neutrogena Hydro Boost Hydrogel Mask that contains 100% natural derived Hyaluronic Acid, which benefit our skin in moisture replenishment, leaving our skin hydrated and supple. The hydrogel mask actually comes with 3 layers, with 2 protective layers ( 1 transparent and 1 white) and the gel texture mask sheet (light blue) sandwich-ed in the mid. 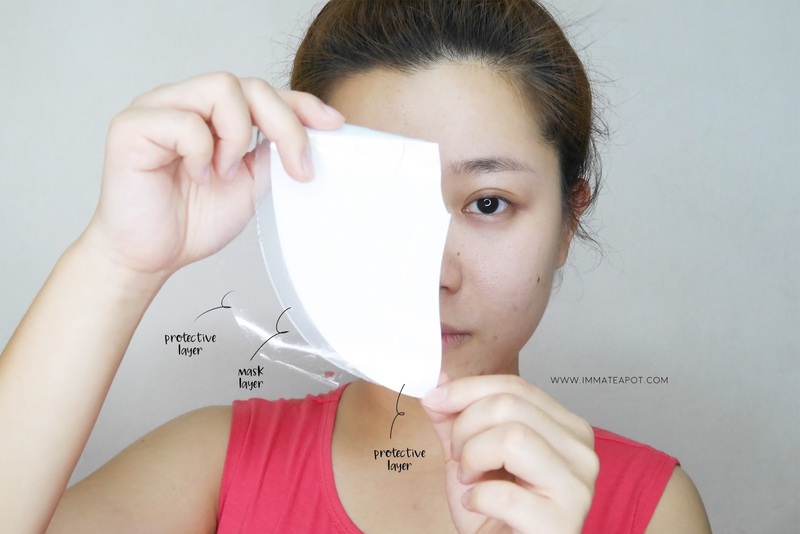 Mask your face with the smoother side instead of the complicated crossed side. Leave the mask on for 15 to 30 minutes. After 30 minutes, remove the mask and massage the remaining essence into the skin. Before application, my skin was dry and the texture was rather rough. 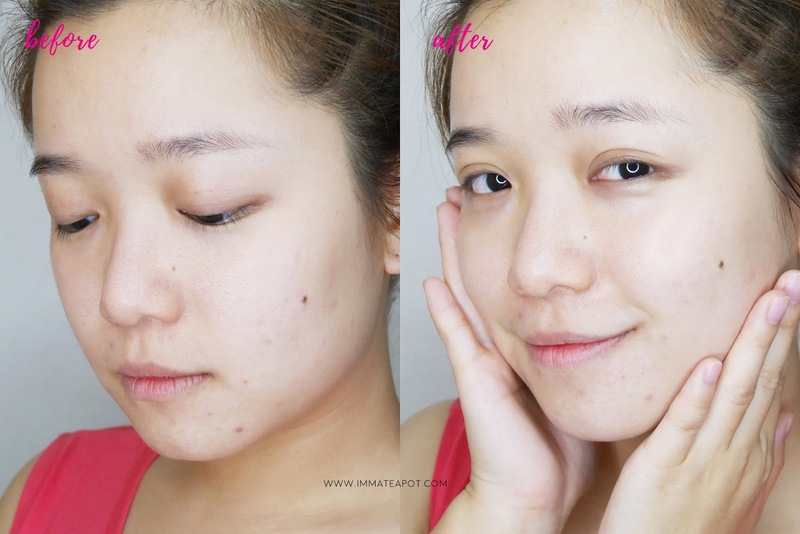 After application, I can instantly feel the cooling effect on my skin, my skin was so much softer and plumpy! It was glowing healthily with radiance and moisture! Another variant will be Neutrogena Fine Fairness Hydrogel, which contains Niacinamide that helps revitalizing our skin, leaving it with luminous and radiant looking. Beside that, Niacinamide was known as a good ingredient that helps fighting acne while boosting the skin immunity! Here comes the travel friendly mask for all of us! Neutrogena Capsule Sleeping Mask provides you with an instant and pleasant facial treatment with all benefits in just 15 minutes, anytime anywhere! You may even leave it in the fridge for an extra cooling oom! 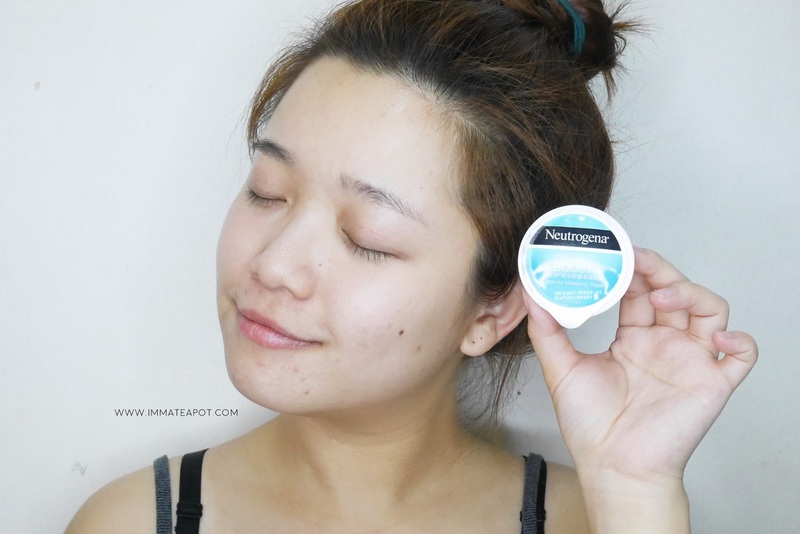 Hereby I am reviewing the Neutrogena Hydro Boost Capsule Sleeping Mask, which helps instantly boost our skin hydration overnight. The texture is much like a concentrated gel, with strong fragrance scent. It comes in a soothing and refreshing aroma. For me, I will definitely used it for a few nights as it contains a lot in a tub! Else you can have a chilling mask session with both your mom and sister, sharing the same one tub. Personally I don't use sleeping mask overnight, as I always have my pillow covering my face. I used to have them on like a quick boosting on my skin when I was running out of time for deadlines, mostly some blogging or freelance job right after my full time job. Definitely, it is a real good choice when you are rushing haha! Normally, I leave the capsule mask on for about 1 to 2 hours, or even more. I usually wash them off before I head to bed. As it is a sleeping mask, so I don't think it harms my skin either way, because you may somehow have it on your skin throughout the night. It do hydrates a little on my skin, but not really obvious. Maybe it works better overnight. 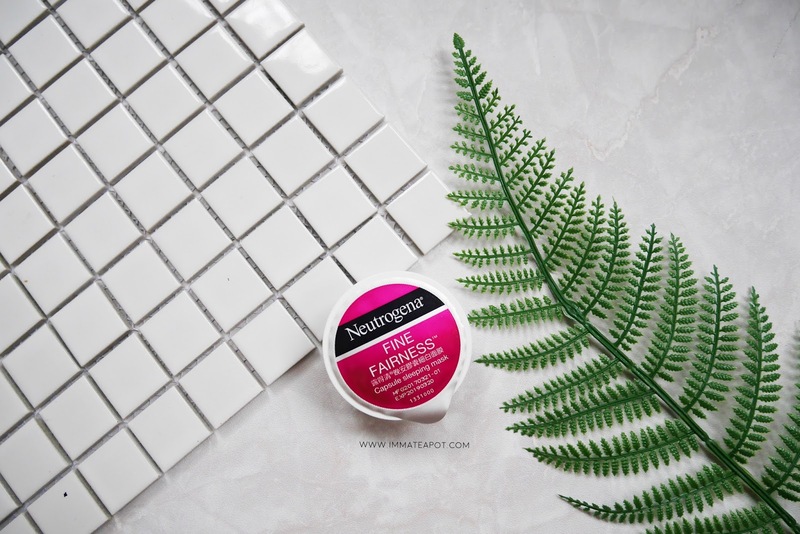 Another variant will be Neutrogena Fine Fairness Capsule Sleeping Mask, contains Niacinamide that makes your skin glow luminously and with radiant! Comparing both of the masks from Neutrogena latest range, I would prefer the hydrogel mask over the sleeping mask. As I mentioned earlier, I use sleeping mask only as a quick boosting during the late night or even before makeup, so instead of having the sleeping mask on the face overnight, I only put it on for about few hours. I don't really see much effect on the sleeping mask as comparing to the hydrogel mask. (Maybe it works better overnight). The hydrogel mask works better on me as I can see the significant result instantly! It absorbs better, penetrates better in shorter time. Maybe different type of masks works differently on each other's skin, depending on each skin type. That's all of my personal review. Hope you enjoy! I love neutrogena brand. I tried using their mask before too and it's quite good! Ur face looks really radiance after application. neutrogena, i've heard of this premium brand before. Good review, the product speaks for itself. Than you for the great review. Now i know what brand to go for! Wow Such a great review.This Neutrogena product looks so perfect skin care products. Would love to give this a try. Neutrogena products are good. 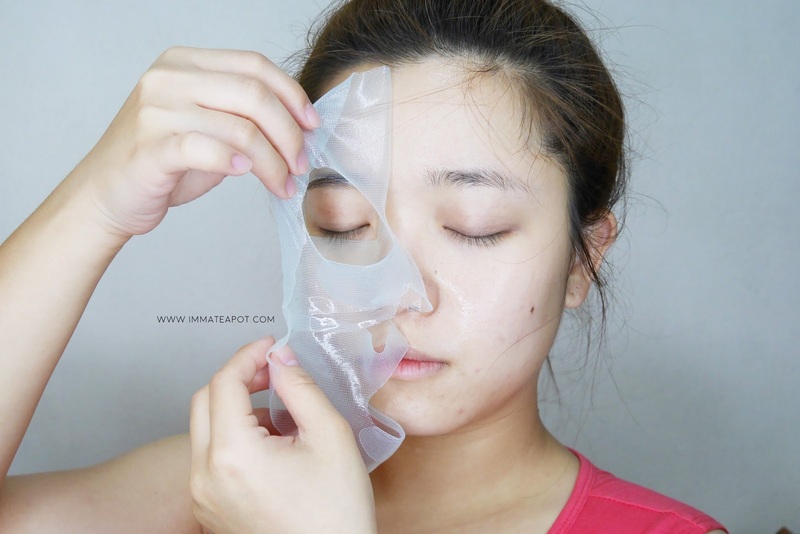 Want to try the hydrogel mask. The mask look so comfortable! I want to give it a try soon. I think I would prefer the over night mask but it looks like a huge tub for one application. So, it will be kinda difficult to carry it around when travelling. The mask looks very soft and maintains a nice face if it is used when our face is stressful hehehe wrinkles.